Hi everyone! 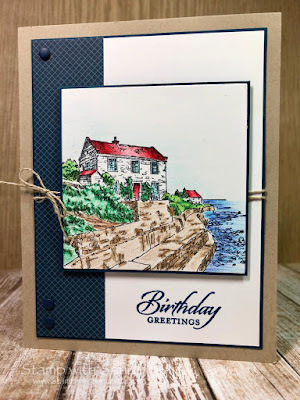 Recently I was on vacation in Florida, and the only craft items I brought with me was a few stamped images and my colored pencils. It was very relaxing to just color! 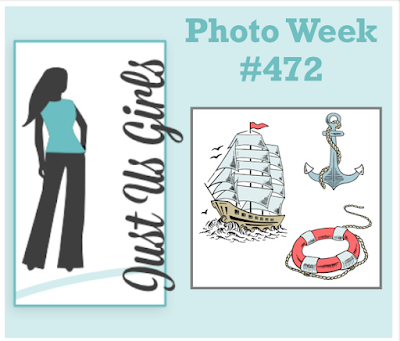 This was one of the images, from a new stamp set by Stampin Up. 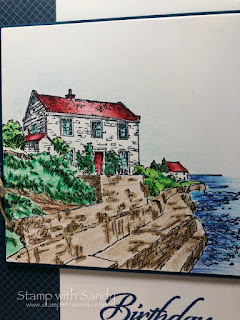 This is going to be for my brother-in-law who recently bought a house on the coast of Maine. It's an old colonial from the 1800's, and though I haven't seen it yet, this is exactly how I visualize it. 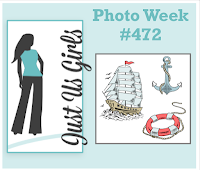 I'm playing along with the photo challenge this week at Just Us Girls. Though I don't have a boat or an anchor in my card, I think I've captured the sea / masculine theme. Let's see what they think! Perfect Sandy . . . definitely masculine and sea-worthy. It reminds me of . . . The Ghost and Mrs. Muir TV show. Oh, I loved that show. The coloring is great. I bet you wish you were back in the Florida weather. Well, I think it's terrific Sandy! 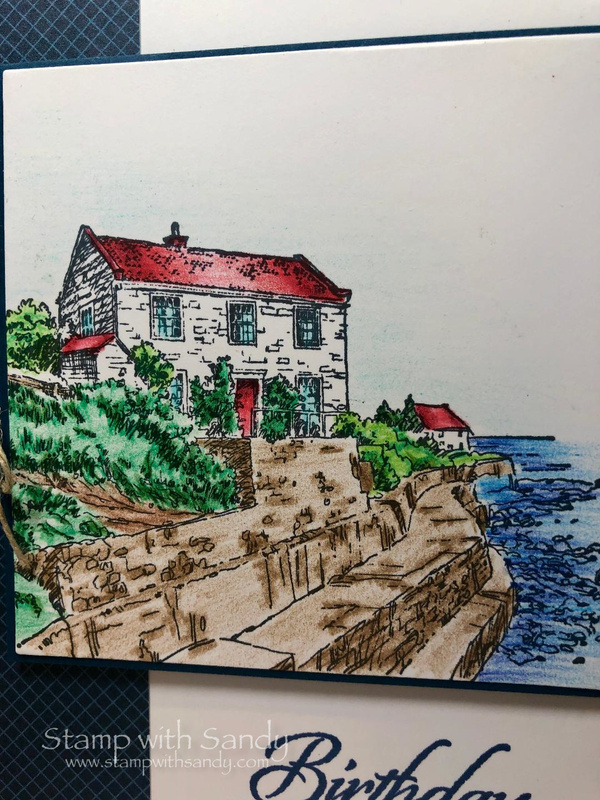 I bet you brother-in-laws house will be as lovely as this card! Your colored pencil is perfect! You can see the sunlights reflection on the roof top. Well done and hope you enjoyed your time in Florida too! HUGS and thanks for playing along at JUGS!